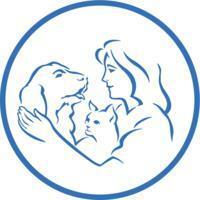 Fountain City Animal Hospital offers pets the most progressive, high quality veterinary care available. As the field of veterinary medicine has expanded, they have continued to offer more in-house services and procedures to ensure the best diagnostics and treatments for your pets. They have gathered together a staff whose high level of skill, training, and experience is matched by their compassion and dedication to care for your pets as though they were their own. They are dedicated to the concept of fear-free veterinary care, and strive to make every visit a positive experience for both you and your pets. They know how busy you are, so they are available most weekdays from 7:30am until 8pm and Saturdays until 1pm. They can usually offer same-day appointments, and are happy to accommodate early morning drop-offs. They have all of the services your pet needs, including boarding and professional grooming. The staff here goes above and beyond to make my pet and me feel at home. They are the friendliest people! Not only do they never postpone my appointment, they always try to get me in as soon as possible. I love that I can always get an appointment right away, and I never have to worry about them rescheduling it. I could tell they really care about everyone who visits them. I got an appointment quickly. I've never had to wait too long. They were very sensitive as well.